Young Prince Hubert is incorrigible, unmanageable, and tiresomely demanding. What is the good King to do? How will his selfish Prince ever learn to rule the kingdom well? His most trusted friend, Sir Malcolm, has a plan. 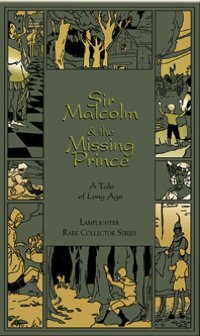 Prince Hubert is swept away to a land where he is simply known as Hugh, a peasant boy. His silks are replaced with rough work clothes, his castle dwelling with a humble cottage. It is here that Hugh learns valuable life lessons from the widow of the forest. Hugh is a sturdy, likable boy who will undoubtedly take a favorite place in the line of lovable Lamplighter characters.